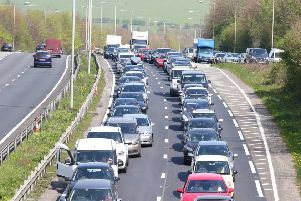 A collision at the Ashcombe Roundabout on the A27 is reportedly causing delays this morning. Drivers are experiencing slow traffic this morning following the collision, which was reported around 7am this morning. Two vehicles were involved in the incident, according to reports.